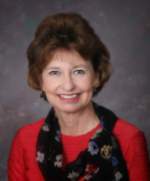 Ricki Garrett has been the Executive Director of the Mississippi Nurses Association since July, 2004. She comes to the position following a twelve-year term on the Board of Trustees of State Institutions of Higher Learning, where she was president from 1999-2000. During her term on the College Board, Ricki was instrumental in developing the annual College Fair, in legislative lobbying, and creating partnerships between the educational and business community. Ricki holds a Ph.D. in Urban Higher Education from Jackson State University, a Master of Arts degree in English from the University of Mississippi and a baccalaureate degree in English from Mississippi University for Women. She has taught on both the secondary and university levels. She is a businesswoman and currently co-owns Etiquette and Protocol Associates, a company that designs and presents training seminars in business etiquette and international protocol. Ricki has held membership in numerous civic and community groups, including the Council of Board Chairs of the National Association of Governing Boards, vice-president, Mississippi Ednet Board; president, Mississippi Stadium Commission; commission member, Mississippi Commission for Volunteer Service; national president, Mississippi University for Women Alumnae Association; and president, Junior Auxiliary of Clinton. She is currently serving as a gubernatorial appointee to the Mississippi Humanities Council and on the Governor’s Task Force on Electronic Medical Records. She has recently been elected to the Information and Quality Healthcare Board of Directors. Ricki is the recipient of a number of awards, including being named to Who’s Who in the South and Southwest; Medal of Excellence, Alumnae Achievement Award, and Woman of the Year 2004 from Mississippi University for Women; and one of nine finalists for The Mississippi Business Journal’s Business Woman of the Year 2005. As Executive Director of the Mississippi Nurses Association, Ricki represents nursing at regulatory meetings of the State Health Department, the Board of Nursing, and the Board of Medicine. She represents nursing interests to legislators and other public officials and advocates for the best interests of the nursing profession and the health care of Mississippians.